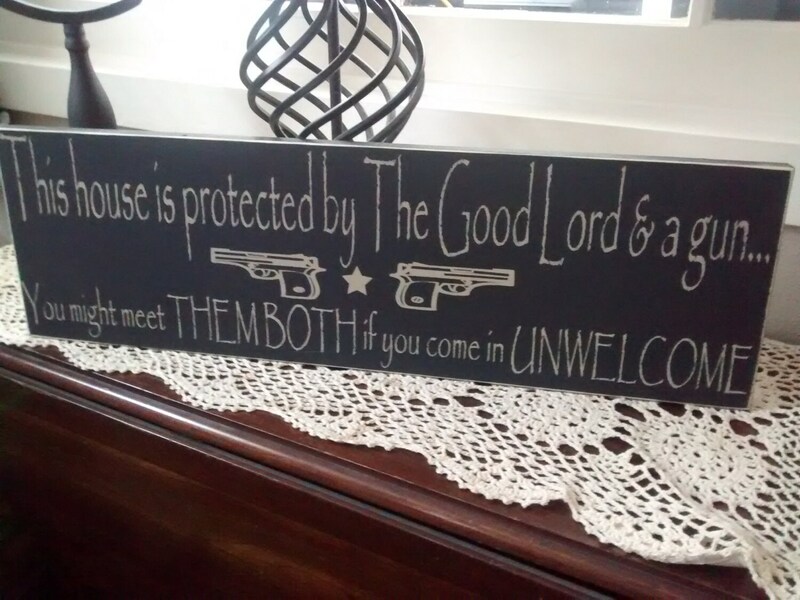 Our Christmas Gift for Dad, features a 2nd amendment statement. 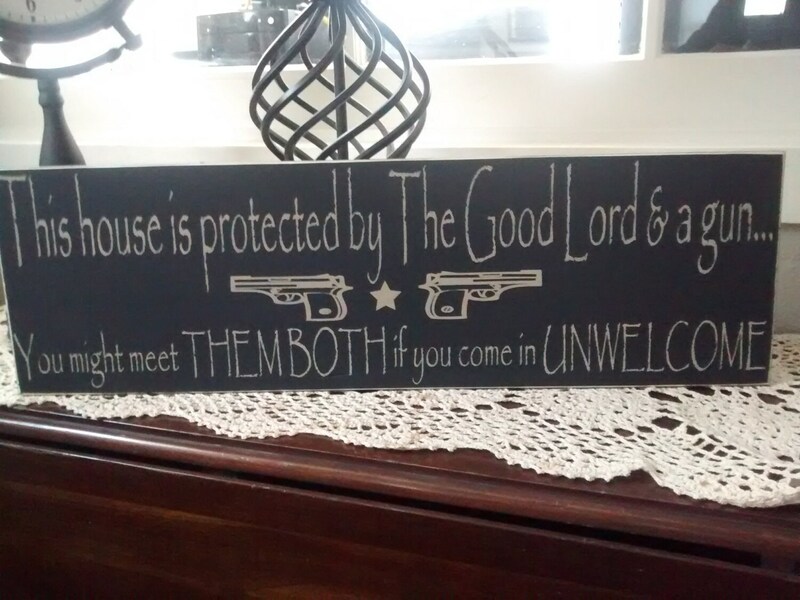 This House Is Protected sign makes a great gift for him, gift for Dad or Grandpa, any 2nd amendment lover, always appreciated a good gun gift, remove the star and add a custom established date to make this a Personalized Sign, he'll love his gun sign, "This House Is Protected By The Good Lord and a gun, You Might Meet Them Both if you come in unwelcome" the perfect saying for the Gun Lover Gift. 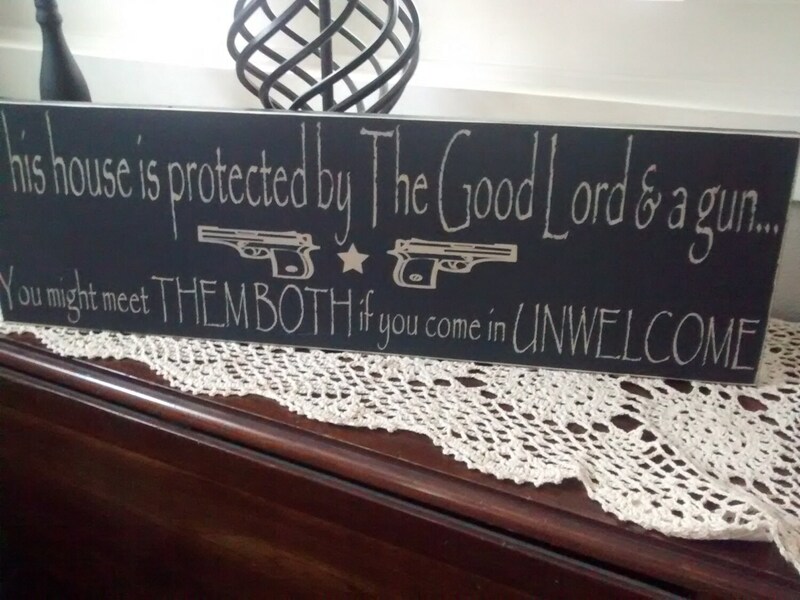 Make it a one of a kind established sign by adding a date, making this a unique gift, your personalized gift is sure to bring a smile to any prepper's face and sure to get the message a cross. You can customize it to your needs, customize the wording, add a Family name or Established date in the middle line. Please specify with any changes in the comment box. size approximately 24" x 7.25" x 1"
Thanks for stopping by and have a day. Beautiful sign! I can’t wait to give this to my husband on Father’s Day! He will absolutely love it!!! Would definitely buy again from seller! Came in perfect! Ordered two because I liked them so much!